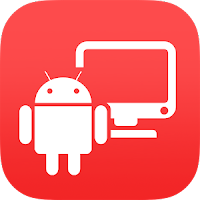 MOBILedit Forensic Express 5.0.0.11564 (x64) Portable ~ Apps2Portable | Free Portable Apps for PC ! MOBILedit Forensic Express portable is a phone extractor, data analyzer and report generator in one solution. A powerful application using both the physical and logical data acquisition methods, Forensic Express is excellent for its advanced application analyzer, deleted data recovery, wide range of supported phones including most feature phones, fine-tuned reports, concurrent phone processing, and easy-to-use user interface. With the password and PIN breaker you can gain access to locked ADB or iTunes backups with GPU acceleration and multi-threaded operations for maximum speed. The new 64-bit engine provides stability and the ability to analyze huge amounts of data, apps with hundreds of thousands of messages, photos and other items, plus several phones at once. Speed up your investigation process by extracting multiple phones at the same time, and generating multiple outputs for each one. All you need is a USB hub, cables and a computer powerful enough to perform concurrent jobs. You can finish a week’s worth of work overnight! When combined with Camera Ballistics you are able to identify which images present on the analyzed phone were actually taken by the phone’s camera using a sensor fingerprint. This process delivers new insight into the images such as make, model, GPS, camera settings, mean square error, fingerprint presence result, probability, and correlation will be organized into a well designed and comprehensive PDF report suitable for submission as evidence. We all know that it is a good practice to use multiple tools in a lab. We’ve designed our software with the ability to integrate with other forensic tools. Import and analyze data files exported from Cellebrite UFED and Oxygen reports to get even more data. Export all data to UFED, so you can use the UFED Viewer or Analytics for further processing to move your investigation forward.